The weekend can’t wait for itself. 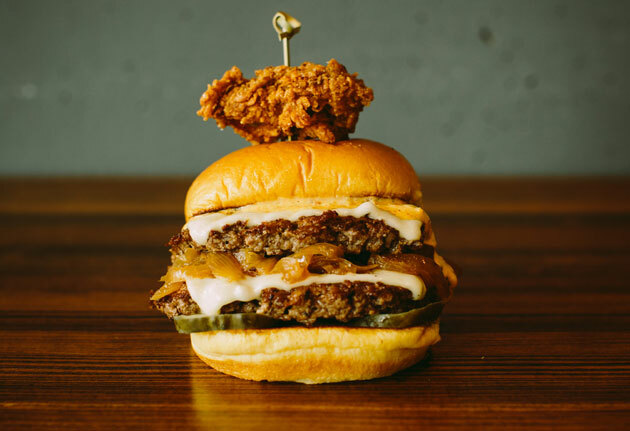 This week, Perks is bringing you half off your next gourmet burger delivery from BuiltBurger, the Seattle-based innovators of all things ground beef. (Mind-blowing flavors like Sriracha and Gruyère are just the beginning...) Plus: choose from three dopp kits from eShave, designed exclusively for UD readers, featuring their all-natural products and handmade razors, for 40% off. Your five o’clock shadow has been warned. You’ve still got a solid month or two of festival-ing in you. So this Saturday, take to the Highland Avenue Beer Fest, featuring over 100 craft beers (Dogfish Head, Smuttynose, Victory...), five bands and a water balloon fight between the Cheetah and Pink Pony girls... if you’re into that kind of thing. And speaking of water balloon fights, we’d like to point you in the direction of another one... that happens to be attempting a Guinness World Record. The current record is 3,927 people, and the Masquerade is going for broke, with live bands to help keep the energy up. You’ve trained for this day. In the very near, very glorious future, your Monday nights will be reserved for football... oh, and lobster. Or filet. Because every Monday at Livingston, they’ll be offering up the former or latter for $16. We’d recommend the corner table with a view... of the TV. Ah, City Hall East. At nearly 2 million square feet, it’s the city’s largest abandoned building. And starting Monday, you’ll have the chance to roam through and take your pick of anything that may have been left behind from 85 years of old-timey business dealings. We’re hoping Don Draper left a suit or two behind. As discussed, Mondays = lobster and football. Which means that you’ll need a new poker and tequila night (naturally). Tuesday should work. Because Highland Cigar is now hosting Texas Hold ’Em Tuesdays, with $8 tequila drinks, plenty of cigars to surround yourself with and maybe even a royal flush or two. Turns out, cigars and tequila are your good luck charms.